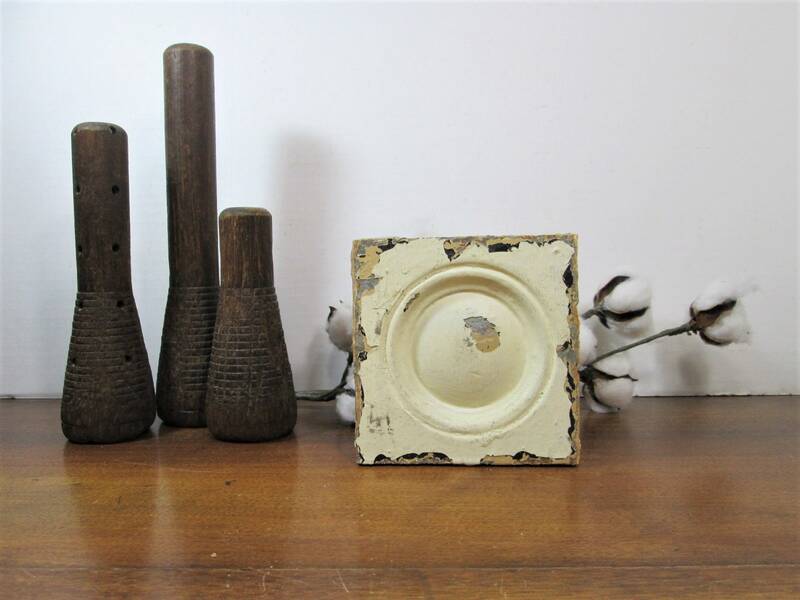 Plinth block with the bullseye design and chippy original yellow paint. 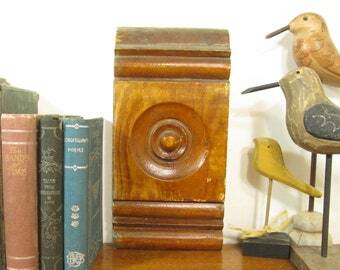 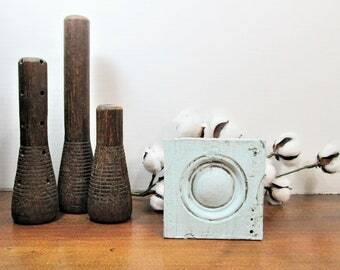 Wood plinth block from years ago would make a great addition to sit on a shelf. 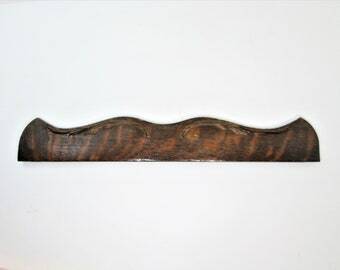 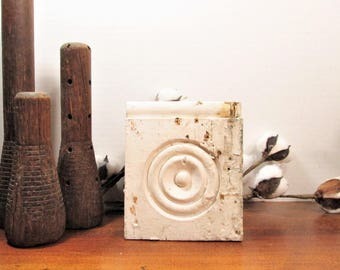 These were part of the moldings around doorways and baseboards in homes of long ago.